Excellent and trustworthy Housekeeper looking for a job. 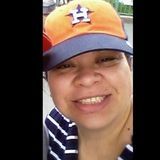 My name is Rosa ,I'm 42 years old and have been cleaning homes for 15 years.Excellent references .Iam CPR and first aid certified . I also do babysitting ,house sitting and dog sitting.I consider myself a kind,hard worker ,reliable and attention to detail person.